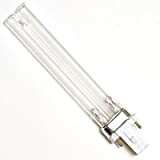 All Lamps Listed Are Compatible Brand Uv Products. We Do Not Sell Tetra, Coralife, Cyprio Brand Lamps. All Tetra, Coralife, Cyprio Brand Names, Trademarks And Logos Are Property Tetra, Coralife, Cyprio.